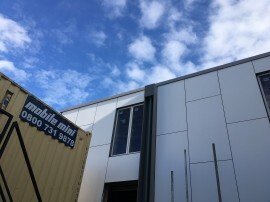 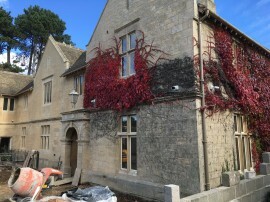 Commercial office extension in Cheltenham, Gloucestershire… unveils its front elevation. 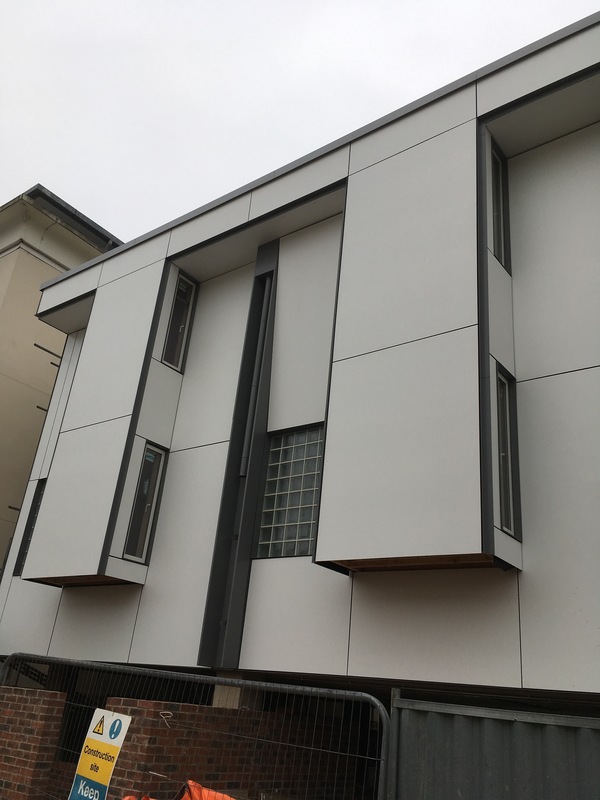 Finally the scaffolding has been removed and reveals the sleek, simple facade of this new office building. 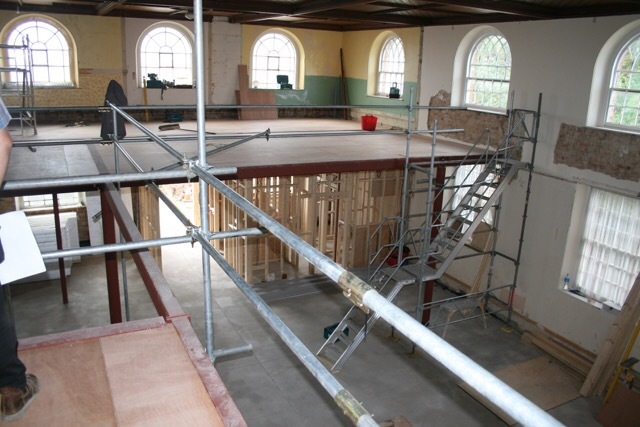 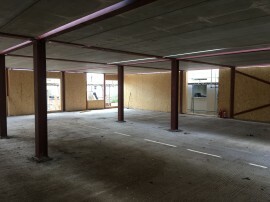 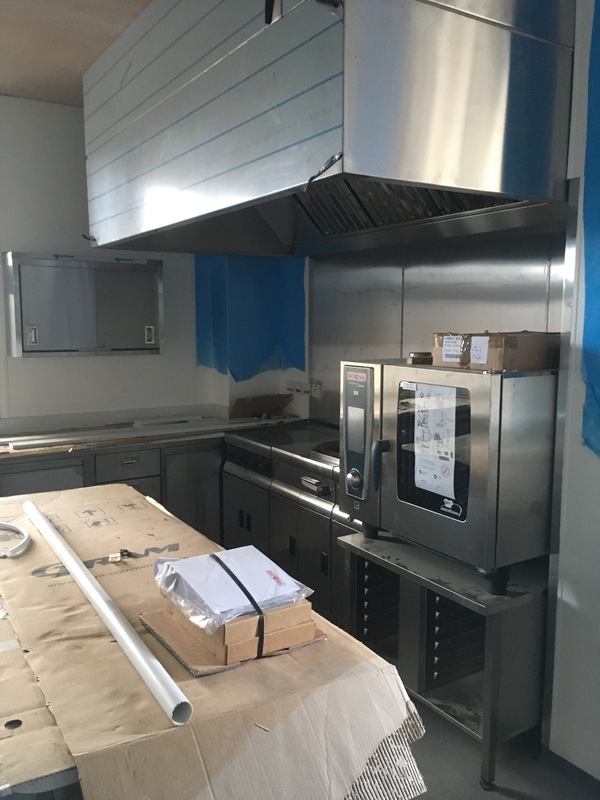 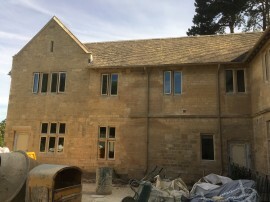 Former hospital in Gloucestershire, near Cheltenham is in the final stages of the internal works. 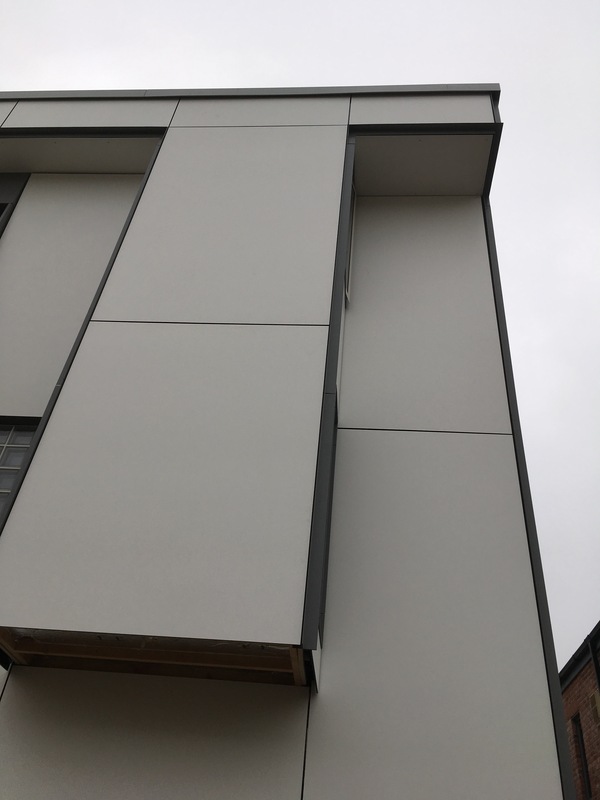 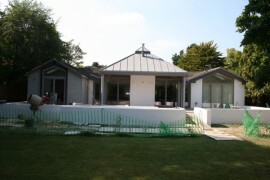 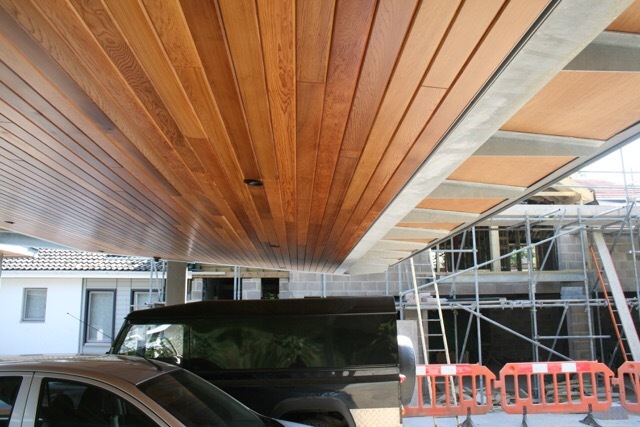 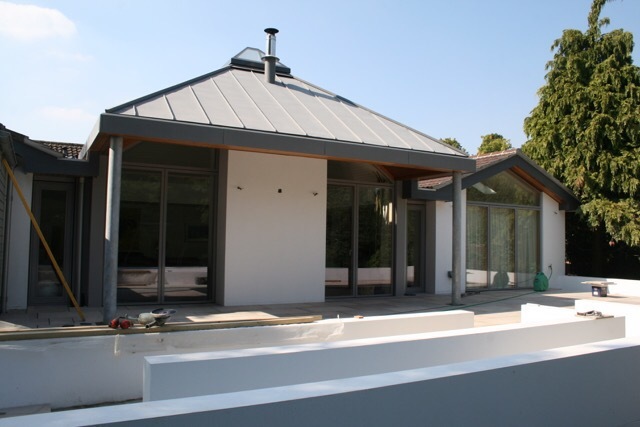 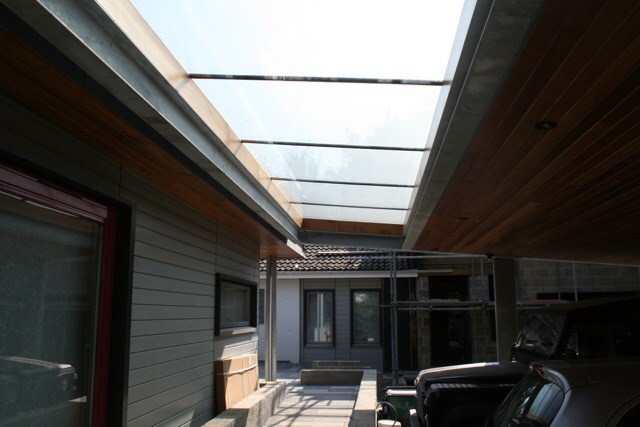 The structure continues to be cloaked in its external Trespa panelled skin. 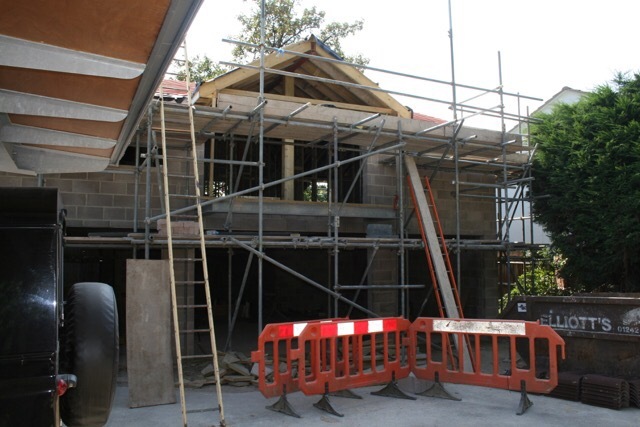 In the next few weeks the external fabric will be finished, the internal space is also continuing at pace. 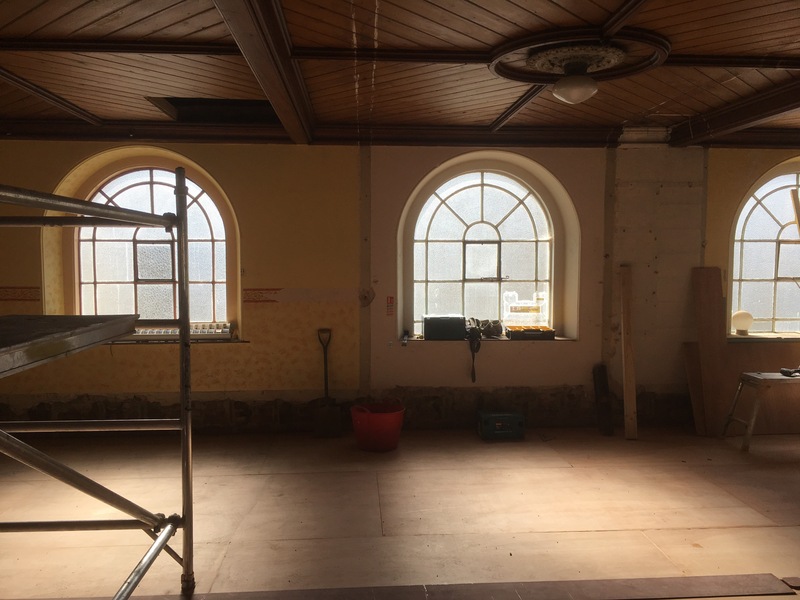 Stanley Partnership are proud to be working on this beautiful old building, helping our Client realise the former Chapels true potential. 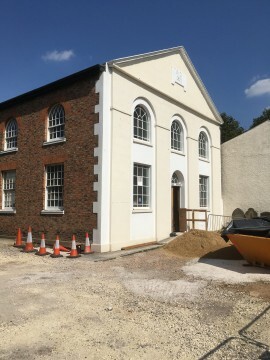 The building work has started now that the demolition work has removed the previous economical layout, which was installed during the mid 20th century. 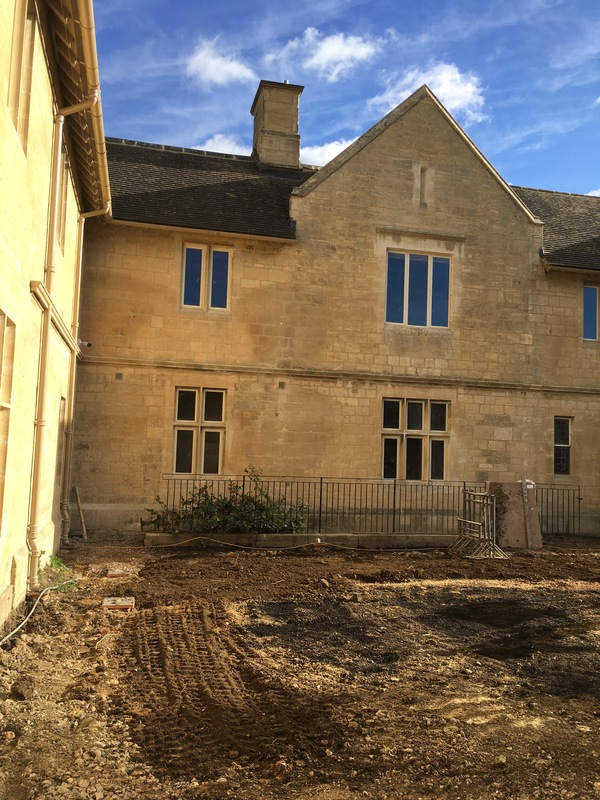 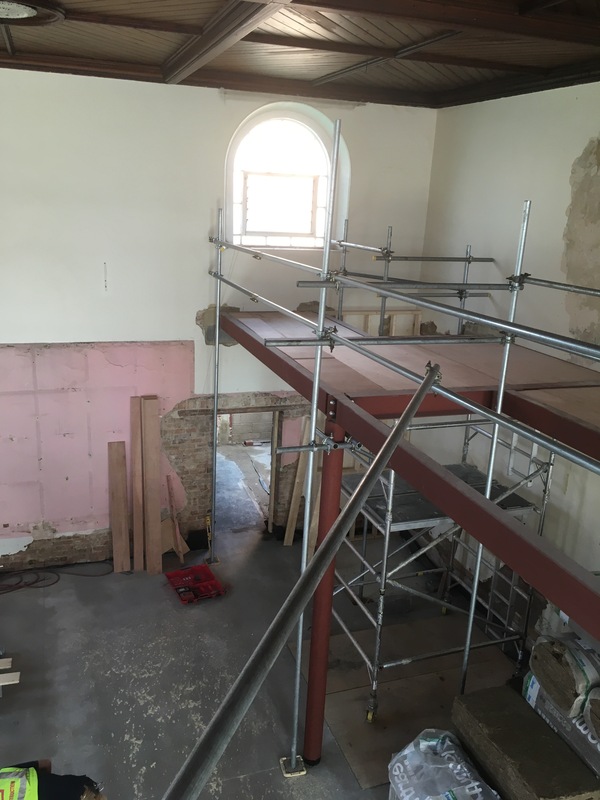 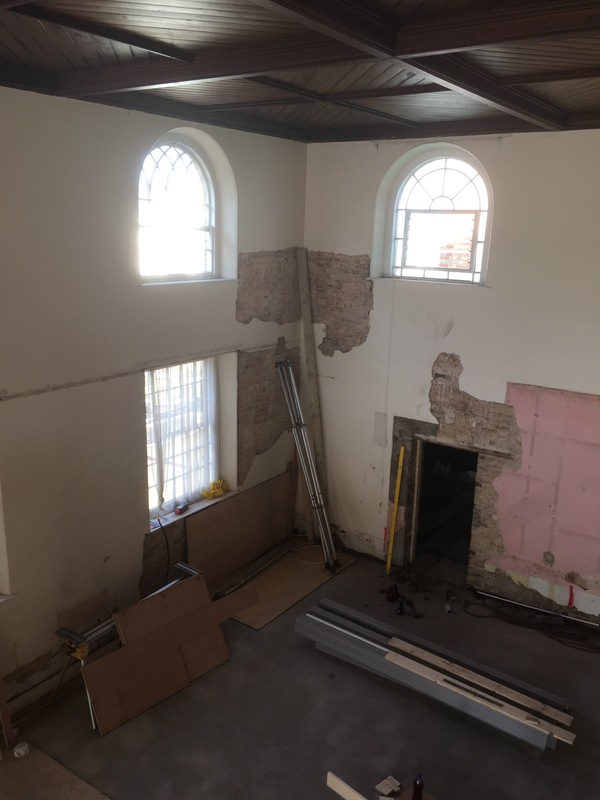 Former hospital in Gloucestershire, near Cheltenham, is under restoration and conversion to a private function building. 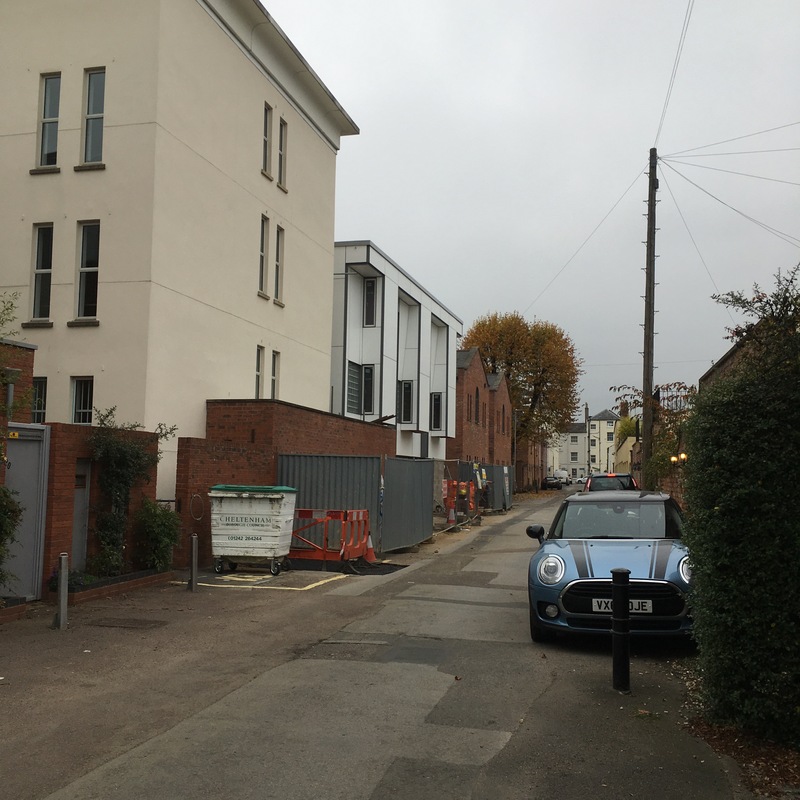 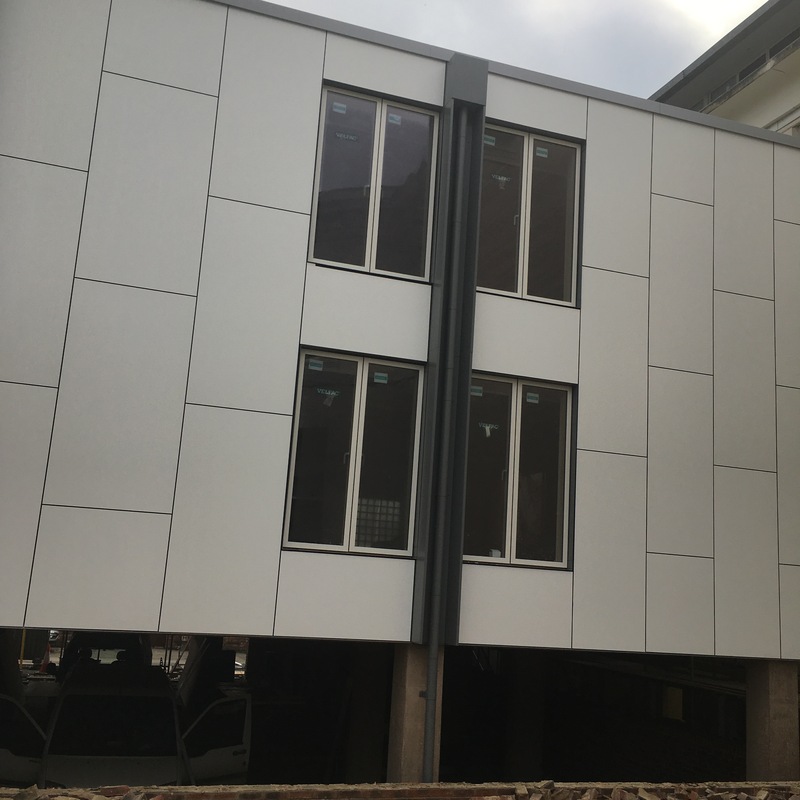 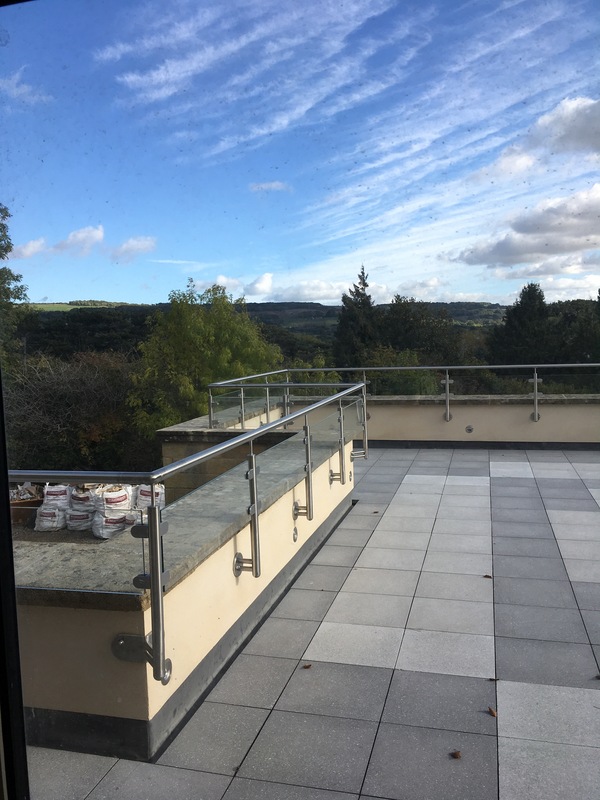 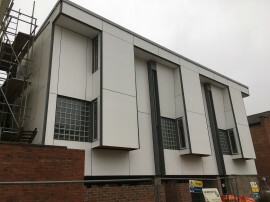 The former NHS hospital has had its existing ugly extensions removed and is now being thoughtfully re-imagined and brought into the 21st century with modern systems and technology. 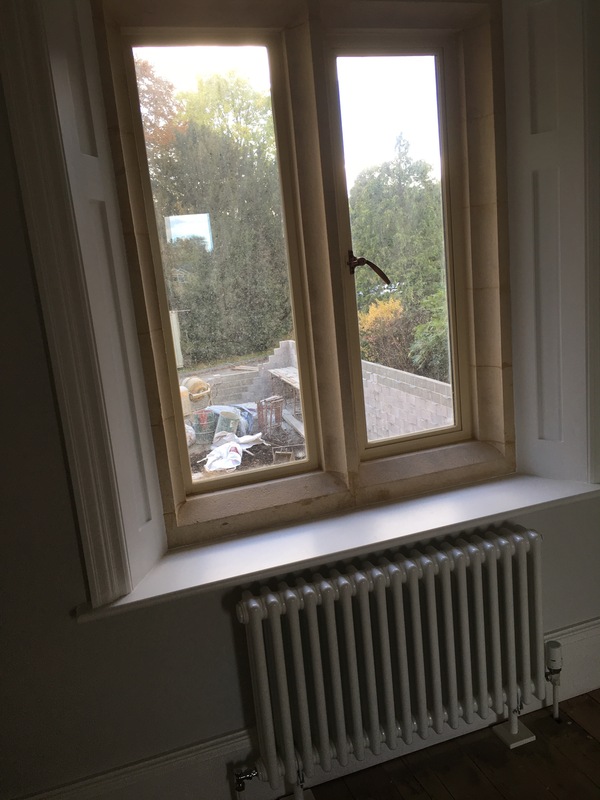 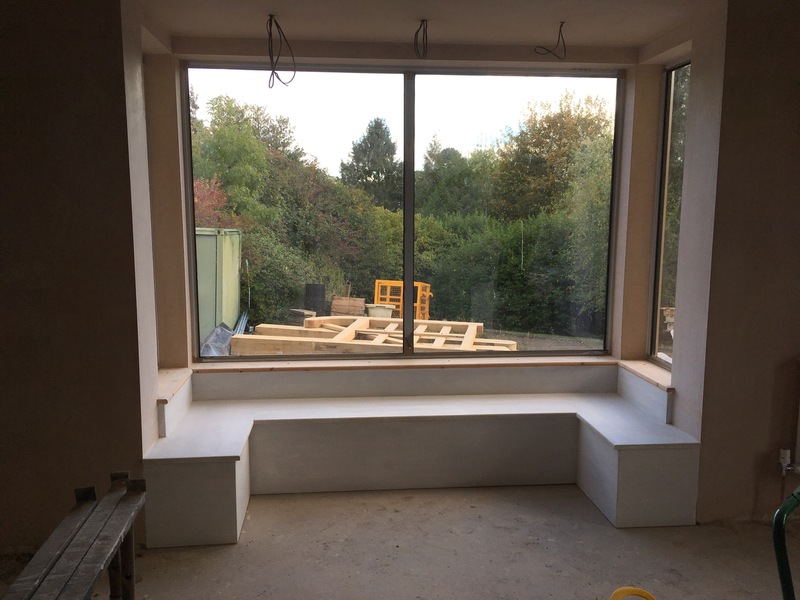 The windows have been replaced by new double glazed metal traditional style units that are helping to soften the facade (replacing cheap white windows) of the Cotswold stone elevations. 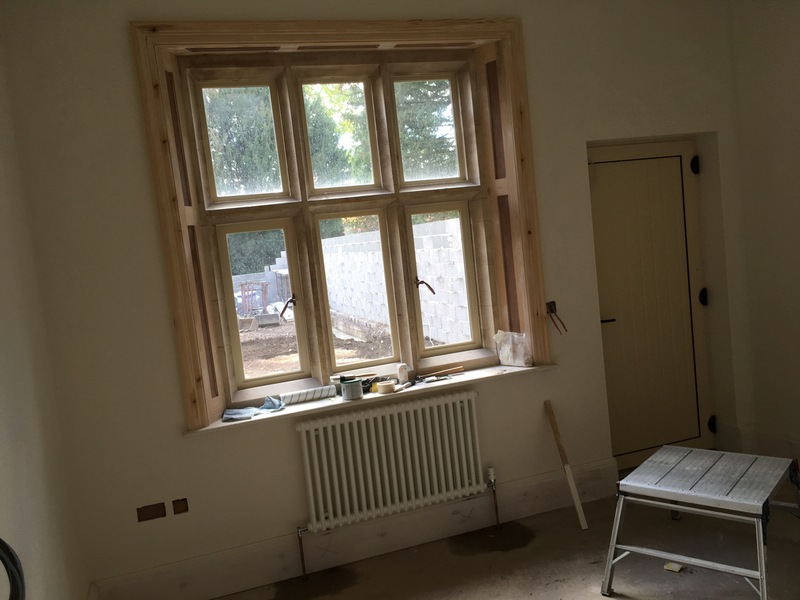 The project is on track, upstairs is plastered with painting and tiling is proceeding. 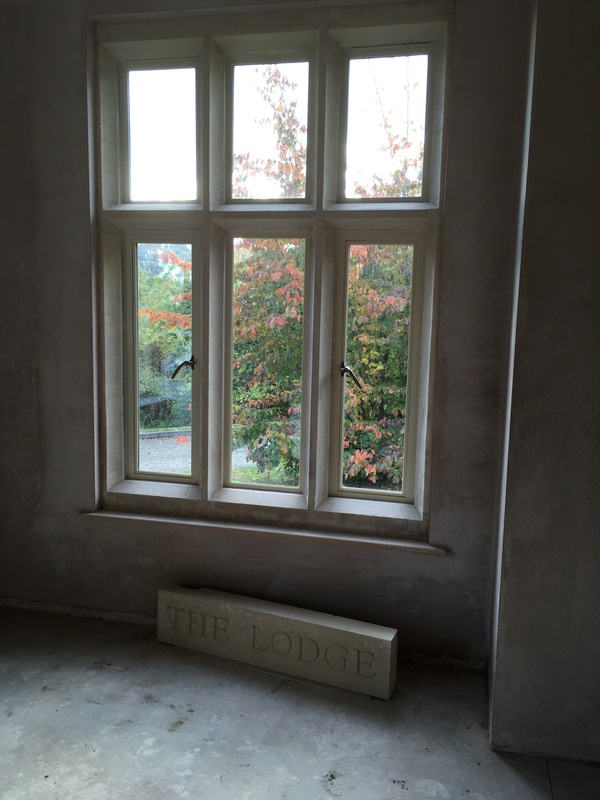 The front door has been fitted and the downstairs is in the process of plastering works. 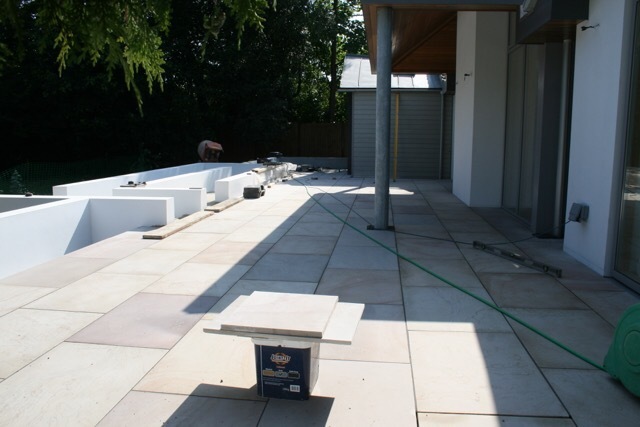 Work continues on this project as stages 1 & 2 draw to and end and stage 3 presses on with first-fix electrics starting. 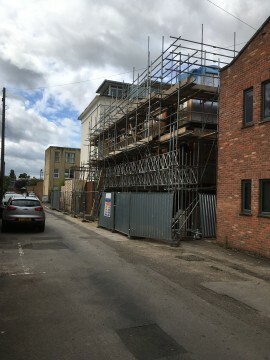 The structure continues to grow. 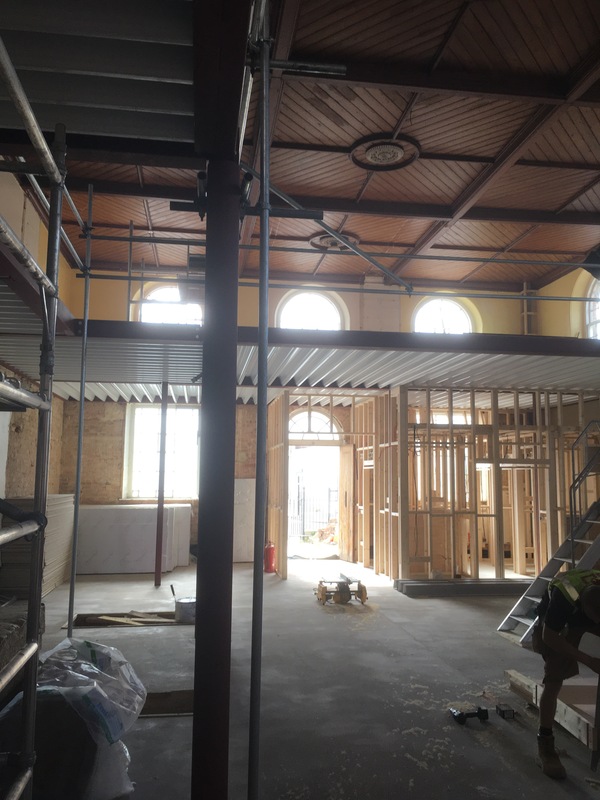 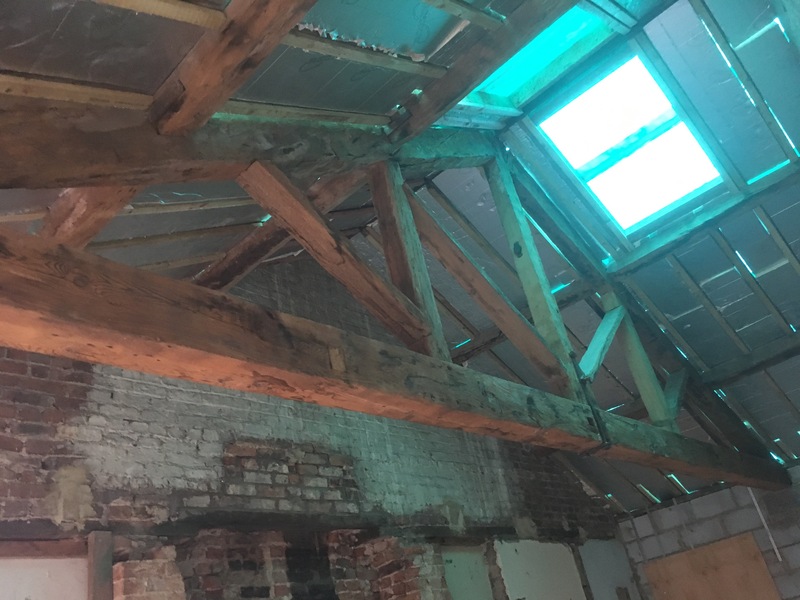 The top floor timber walls have been finalised, with the roof work about to start. 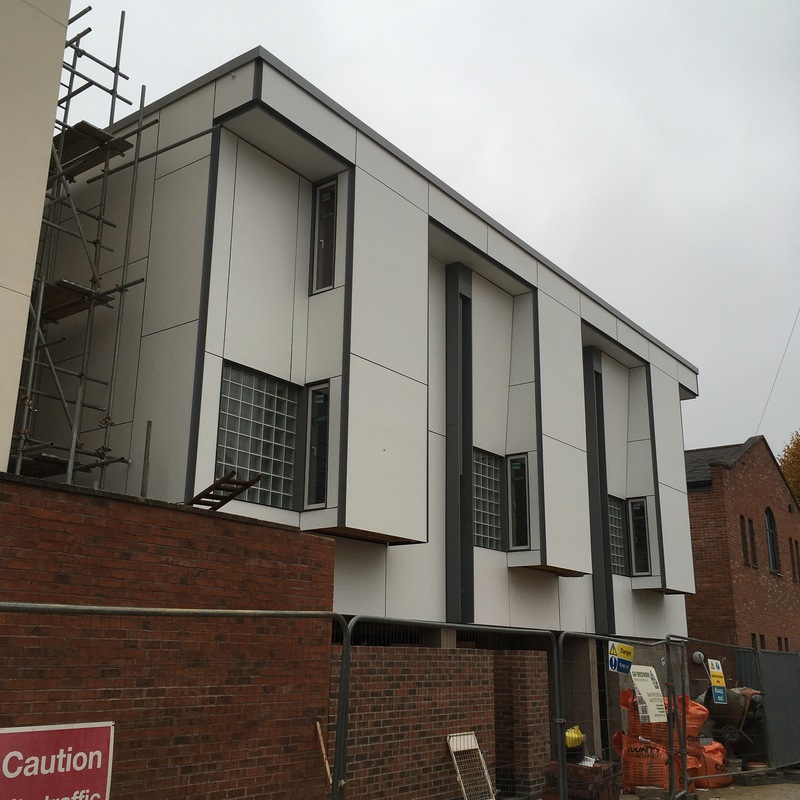 The precast concrete stairs have been craned into place and are ready to use. 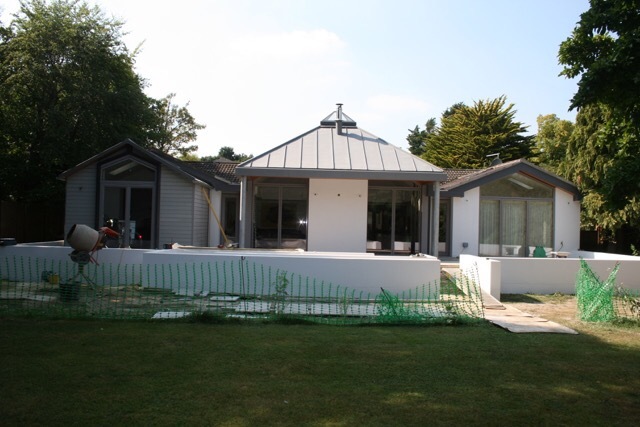 We are happy to achieve the positive response of ‘permission granted’ for a new dwelling in the grounds of a listed hotel in Devon. 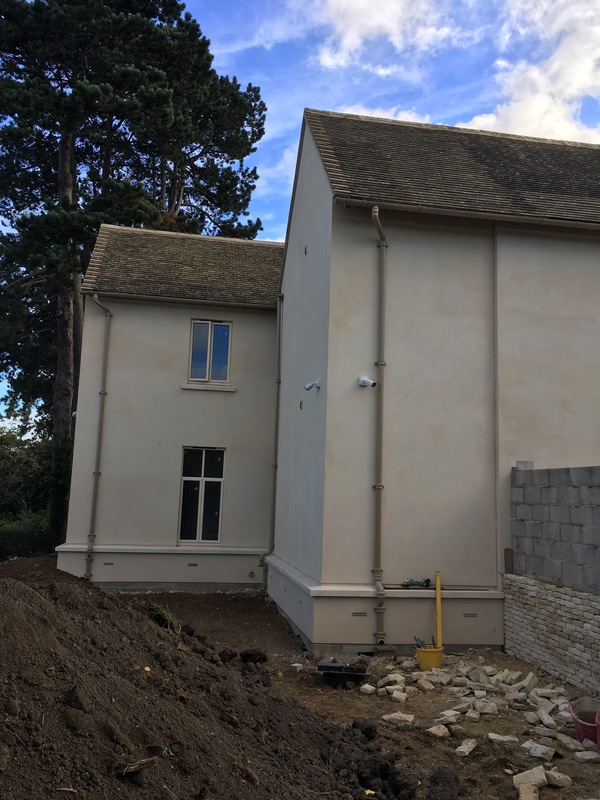 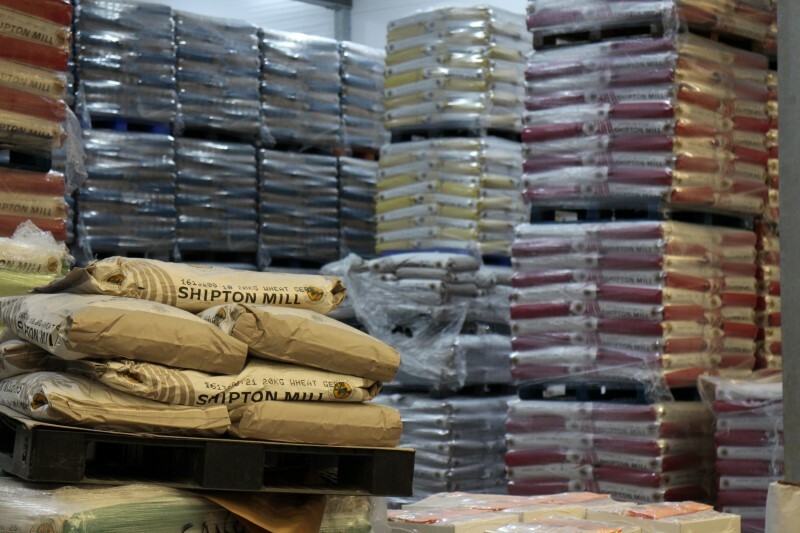 The process has been a long one, not owing to either us or the Client, but is now on to the next stage of working drawings. 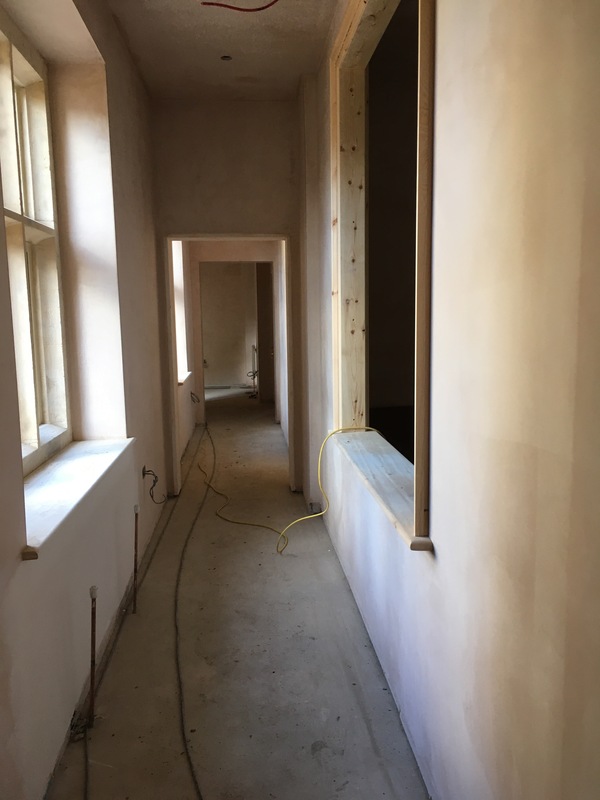 Progress has been quick and smooth on site with the timber frame shooting up and the first floor concrete planks being installed.